A year ago, Lisa opened Pounce Play and Stay in the bottom story of “The Dairy,” an apartment complex located between Graham and Stanton on MLK. Lisa and Jen consulted pet physics and feng shui experts while designing the space, and they assembled the wooden suites that the cats sleep in themselves. 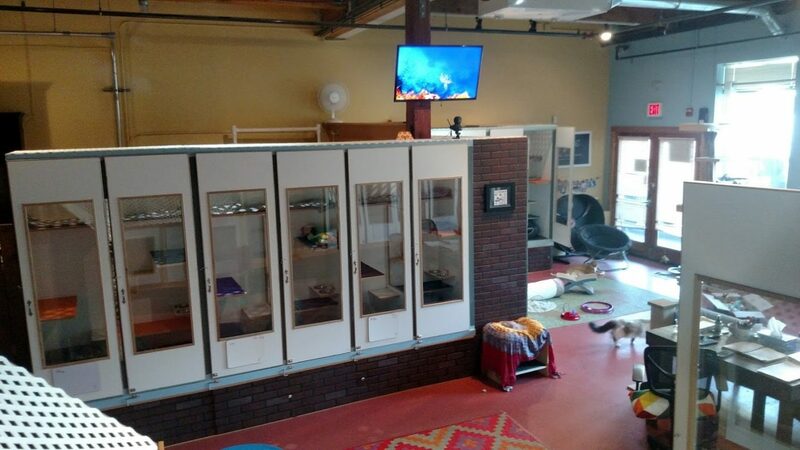 Pounce Play and Stay has a capacity of 21 cats and has been at full capacity every holiday since they opened. Cats that are dropped off at Pounce Play and Stay are treated regally. They are showered with individualized attention and love. Pounce Play and Stay employees send daily text updates and videos of the beloved cats to their owners while they are on vacation. Pounce Play and Stay charges $30 a night for their services. They are open from 9-6 Monday through Saturday and welcome anyone to come check out the facilities! In addition to the cat hotel, Pounce also offers in-home pet care and dog walking service too. Check out their website, stop by or call for more information. Previous PostPick it up, Portland! picks ELIOTNext PostHot Diggity!